You know a look is iconic when it remains almost the same despite the test of time. 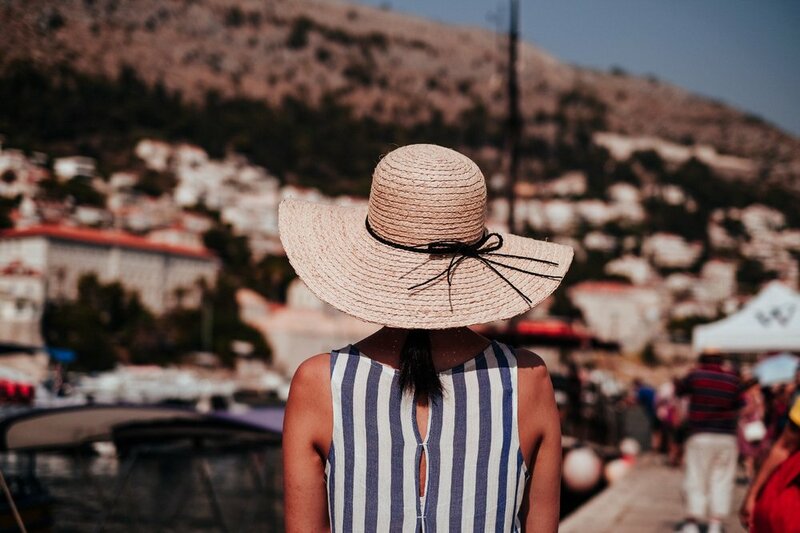 The classic French Riviera style that involves Breton stripes, cropped pants, straw boater hats, and basket bags has been sported by style icons such as Audrey Hepburn, Grace Kelly, and Jane Birkin at Cannes. But how can you take on the look on a regular-girl budget? We turn to French It Girls like Jeanne Damas, Camille Charrière, and AnneLaure Mais to learn how the French girls do holiday dressing. When it comes to accessories, you want to look like you’ve just stepped off a yacht at the St. Tropez marina. A wide-brim straw hat, with a nautical blue-and-white ribbon tied around the brim, will do the trick. Grace Kelly used to wear little white blouses when yachting in Cannes. Even until now, it’s all about blouses with a nipped-in waist and a side tie. When in doubt, style it with a pair of cropped flared jeans and a basket bag. The Jane Birkin basket bag is the ultimate accessory that represents the French Riviera look. Our adored French style-influencers keep showing us the power of a little red dress. Be sure to pack a red floral summer dress in your suitcase if you’re hitting up the French Riviera. Flared jeans have become a 2018 French essential that Jeanne Damas championed with her Rouje Swan jeans. Other style bloggers got in on the trend too, making it part of their holiday look. You probably already know that Breton stripes are a Riviera classic. Doina Ciobanu proves that they remain just as chic as they did decades ago. The Riviera signature isn’t just about Breton stripes, though. Striped sundresses also have a place in any French girl’s holiday wardrobe, as Camille Charrière demonstrates. Espadrilles are a French-girl summer staple. They are also super comfortable to walk in, so you can wear it from the streets to the beach.